for social housing providers. Several studies indicate that social housing providers in Europe have begun to adopt new (social) entrepreneurial strategies and are becoming more innovative as a response to these challenges. These strategies imply tackling the tensions between (at times) conflicting drivers, notably those arising from the State, the market and communities. However, research in this topic so far is fragmented, focussing on one country or on specific sub-areas such as asset management and non- housing activities and rarely connects with the relevant wider literature on the third sector and social enterprise. The broad aim of this PhD was to deepen the understanding of the ways in which contextual drivers impact on the mission, values and activities of social housing organisations. Furthermore, the study sought to understand how these organisations are positioning themselves vis-à-vis the State, market and community. The above aims translate into three research questions: (1) How are contextual developments impacting on the missions, values and activities of social housing organisations? (2) How do these organisations position themselves vis-à-vis the State, the market and community? and (3) How are competing values enacted in the decision-making process exercised by these organisations vis-à-vis these contextual drivers? The universe for this PhD research consists of social purpose organisations, not owned by the State, which operate on a non-profit distribution basis. Together they are part of a wide range of ‘third sector’ actors providing social and affordable housing across most of North Western Europe. The PhD adopted a pluralistic epistemological approach with an interpretivist emphasis, with significant use of qualitative research methods. This approach was deemed useful to give a voice to the subject(s) of study. The research design included a mixed methods approach and a longitudinal, international and inter-organisational case study research design, involving two company-cases. The companies were studied over a four-year period, starting in March 2008. The research design and data analysis draws on elements of grounded theory, and on the work of Eisenhardt on ‘building theory from cases’. Following this approach, a series of ‘theoretical propositions’ were devised from the study’s findings in order to answer each of the three research questions. In relation to the first research question, the study found that contextual developments and the missions, values and activities of social housing organisations are in a two-way relationship. From an initial assumption of unidirectional causality, in the process of the research it became clear that the relationship between contextual developments and organisational change is more often than not one of mutual causality. We qualified this relationship through six propositions. First, we posited that market and State drivers have a relatively stronger impact on social housing organisations as compared to community drivers. Second, we postulated that both market and State drivers have a knock-on effect on community drivers. Third, we established that State drivers pose continuous exogenous shocks to social housing providers by means of constant policy changes. Our fourth proposition stated that in a context of economic crisis the relationship between market drivers and social housing organisations is marked by volatility. Our fifth proposition established that all three types of contextual drivers are reinforcing the long-term trend of deepening residualisation of the social housing sector. The sixth proposition emphasizes the long-term mutually shaping relationship between context and social housing organisations. the ‘strategic position’ that these organisations adopt vis-à-vis their environment. in three propositions. 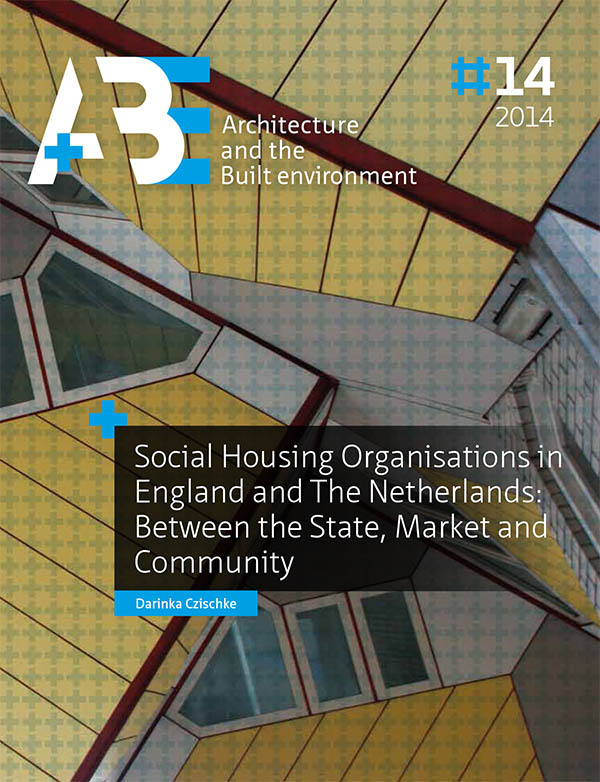 First, it became clear that while descriptor variables confirmed the hybrid formal characteristics of social housing organisations, they do not account on their own for their position in relation to State, market and community. Our second proposition stated that social housing organisations are constantly balancing pressures to (re)define their mission. Our study found that in this process, each company is faced with trade-offs when considering their organisational mission in relation to a changing mandate from the State domain, while at the same time weighing demands from the market and community domain. Third, we posited that social housing organisations exert different degrees of agency in their positioning vis-à-vis the State, market and community. We identified a continuum of actions that these organisations have put in place to respond to key contextual changes, ranging from ‘reactive’ to ‘proactive’ and ‘strategic’. Hence, social housing organisations would have the capacity to shape their environment and / or at least, their position in relation to this environment. On our third research question, we found that enacting competing values in social housing organisations implies multiple rationalities at play in decision-making. of State aid by housing associations implemented in January 2011. The companies’ responses to these critical incidents, respectively, were operationalised through a ‘strategic decision’ made by each of them vis-à-vis these events, defined as a decision recognised as having significant implications for the structure, direction or purpose of an organisation. The English company defined their strategic decision as the impact on the company’s vision, direction, strategy and financial capacity of the October CSR and the shake-up in the welfare benefit system. More specifically, the company’s bid to the HCA for the four-year development programme in the first half of 2011 formed the basis for the study of this critical incident. The strategic decision of the Dutch company was whether to follow the Dutch government’s ruling on income ceilings or not. Furthermore, the company had to decide how to re-organize its financing in order to comply with the required administrative split between activities classified as ‘Services of General Economic Interest’ (SGEI) and ‘non SGEI’. is important because it shows the ways in which different participants and their (departmental) agendas try to influence the outcome of the decision. In terms of content, a first proposition established that social housing organisations operate with multiple rationalities; non-rational factors such as politics, intuition and past experience played a key role alongside technical considerations. In our fourth proposition we identified a number of ‘dilemmas of hybridity’ that these organisations have to deal with to stay true to their mission while tackling pressures from different State, market and community. Second, we discussed the ambivalent relationship that social housing providers have with risk. A number of questions were raised on what (if any) risk attitude lies closer to third sector service providers in relation to what is expected from commercial enterprises or even from the State. This is relevant in particular given the more general trend to transfer risk from the State to third sector organisations in service provision overall in European societies. Last, our research found that social housing organisations are consistent with stated core values but are constantly making choices on how to enact these values. While contextual drivers may appear not to affect the mission and values of these social housing organisations, the former do impact on the companies’ strategies and activities. This means that there can be significant gaps between espoused and enacted values. ‘core business’ as define by each organisation). Fourth, the question emerges as to whether the identity of a social housing provider operating along the wide spectrum between the two ‘pure’ types is defined by its activities (behaviour variables) or by their organisational form/legal status (descriptor variables). The concept of hybridity proved useful to gauge this complexity, as illustrated in the ‘dilemmas’ companies have to face when making strategic decisions. Fifth, findings showed that community drivers tend to stay constant or change slightly over the long term, except for those resulting from the combined impacts of the economic crisis and the resulting political and regulatory changes. This leads to the recommendation for social housing enterprises to consider longer-term political (and market) trends as well, to anticipate on going (neoliberal) trends and possibly fundamental changes in housing preferences. Sixth, while values tend to stay constant, mission is permanently redefined in relation to pressures from the environment (including changes in mandate) and activities change accordingly. In order to stay true to this identity, social housing providers ought to be able to anticipate conflicting logics and put mechanisms in place to adjust their policies and activities to respond to these challenges while keeping its core values intact. of this PhD can help us reflect on the future role of social housing in the context of changing social contracts and social cohesion and welfare models in each country. Furthermore, the research helped participating practitioners to reflect about a number of organisational dilemmas they face, as illustrated in our findings.